This is majorly delayed (forgive me I was out of town) but to complete the “week” of neon this post is dedicated to accessories. 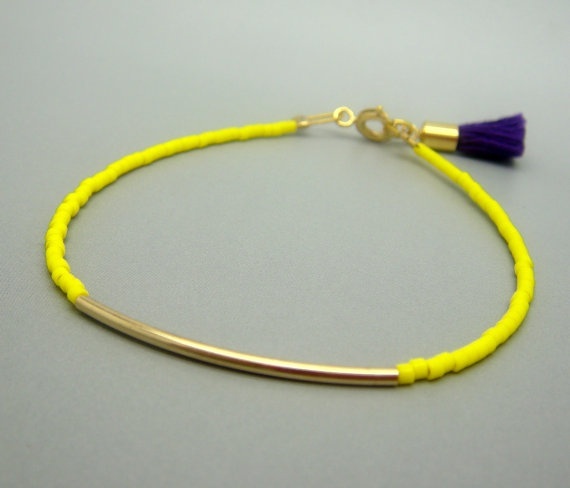 Wearing neon accessories is an easy, fabulous and (can be a) subtle way to incorporate neon into your look and wardrobe. Scroll with caution and do not stare directly into the light. perfectly paired neons. this necklace is so wonderful because it works with anything. 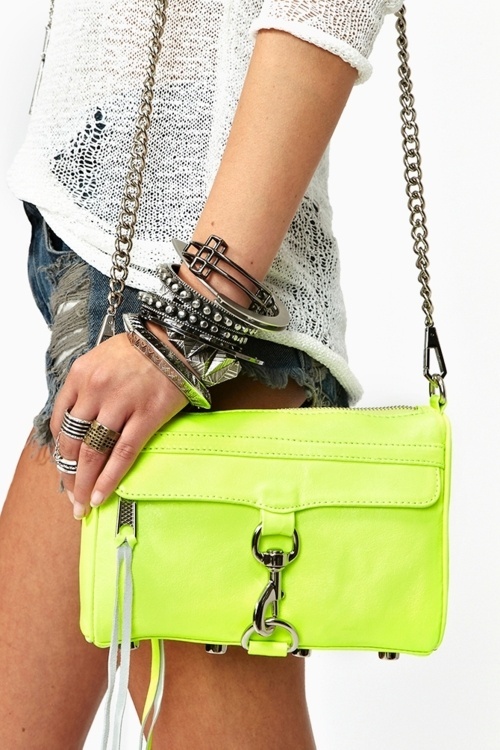 love me some rebecca minkoff….this is the bag of the moment! 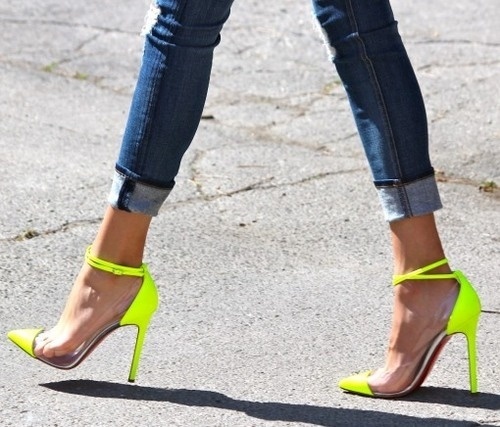 Neon is everywhere! It’s like a fabulous homage to the 90s, but with better execution. Because I grew up in the 90s and love neon this week is dedicated to neon. 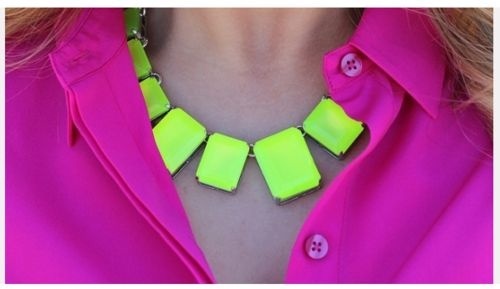 Neon is anything but subtle and that is what’s so wonderful about it. Some might fear neon because of its blinding brightness, but this is the exact reason to embrace it. Whether you choose neon accessories or clothes, by donning neon your look instantly becomes an eye catching show stopper. Oh and did I mention, neon makes you look more tan! These pants are my fav because they are super comfortable, blinding, and can easily be dressed up or down…perfect for every occasion, almost! Bustiers have become a staple this season, which is convenient since this summer has been unseasonably steamy. Once upon a time bustiers were only worn as undergarments, but now have emerged as the eye catching statement piece of a look. I know you might not believe me when I say this, but bustiers lend themselves to many different styles and can range from skimpy to (semi) conservative and cropped to full coverage. The absolute key to successfully pulling off a bustier is fit, so take heed when purchasing or when assembling your look. editorial take on the bustier…..such a fearless combination! absolutely obsessed with this outfit! i love the sequins bustier paired with well tailored high waisted pants…simply perfect!